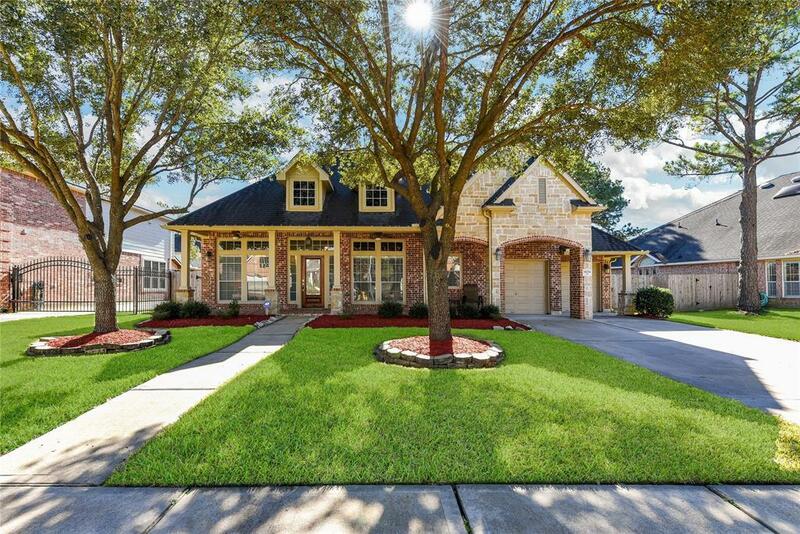 Magnificent 1.5 Story wonderfully crafted by Plantation Homes on Grand Lot in Desirable Coles Crossing. 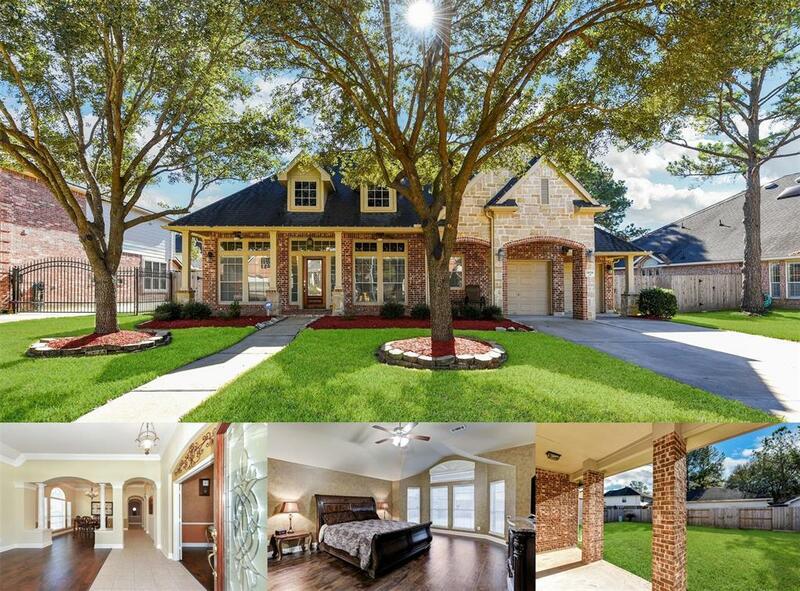 Great Floorplan w/ All Bedrooms Down and Lg. Game Room up. Island Kitchen w/ New Stainless Appliances, Granite Counters, Lovely Skylight, Gas Cooktop, Abundant Cabinets & Brkfst Bar. Family Rm w/ Gaslog FP, Built-in Entertainment Ctr, Surr Sound, and Wall of Windows to Backyard. 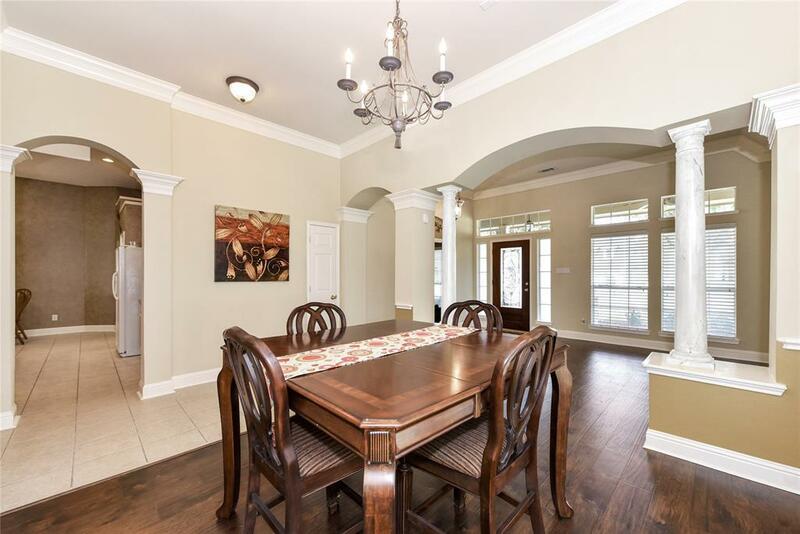 Formal Living & Dining Rm off the front w/ Stately Columns Perfect for Family Gatherings & Entertaining. No Carpet on 1st Floor! New Carpet up. 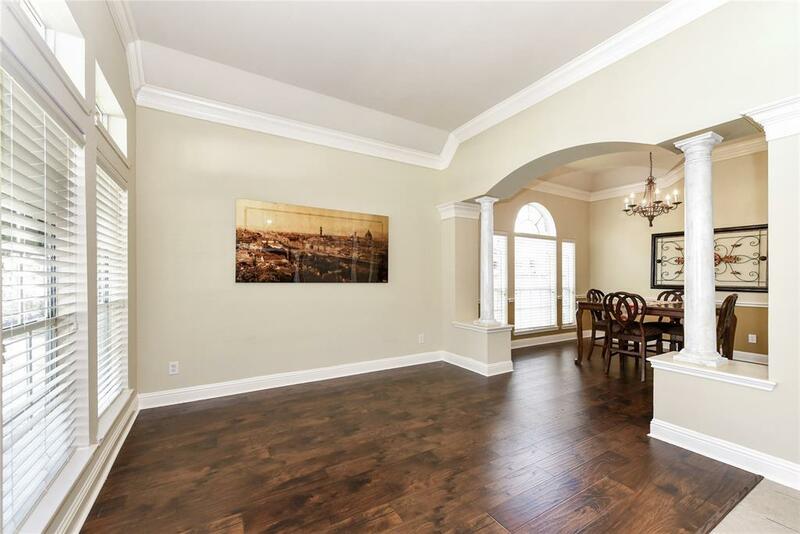 11ft Ceilings, Crown Molding, Brilliant Lighting, Energy Features & Excellent Storage. Master w/ Sitting Area, Dual Sinks, Glass Enclosed Shower w/Bench & Soaking Tub. Country Covd Front Porch, Lush Landscaping, Mature Trees, Ext Covd Patio, Gracious Backyard. Master-Planned Community w/ Excellent Schools, Swimming Pools, Parks, Trails, Stocked Ponds, Sports Fields, Fitness Center, Club House & Neighborhood Events. New Roof & New SS Dishwasher to be installed!